3 years ago today after being on youtube for a couple of months I decided to start up this blog. Those who have been reading for a little while will know that my blog had a different name back then, freshbeautyxox. I cringe when I think about it but that is part of my blog's story so I'm learning to embrace it! I really cannot believe that it has been 3 years, I've changed so much over those years for the better thanks to blogging. I just wanted to say thank you in this post and look back over those 3 years, hopefully they'll be many more years to come as well! I was quite young when I started my blog, just 14, but I'm glad I did start it at that point back then. I was starting to feel a bit like an outsider at school and other things were starting to get to me, I found the blogging community just at the right time I think. Despite not having much confidence I felt so at ease and natural writing blog posts, even though they were horribly written back then and my photos were just awful, you have to start from somewhere though. I'd say that only just this year have I started to find my voice when it comes to blogging, I've settled into things a lot and I'm starting to work out who I am and where I want to go in life, blogging has definitely helped me do that. I have so much more confidence these days, I used to be a very shy quiet girl and I'd say I'm still shy but no where near as bad as I used to be. One of the best things that I've taken from blogging are the amazing friends I've now got, I'm not going to name everyone because there are so many people that now mean a lot to me. I can tell these girls anything and I couldn't imagine not having them in my life, love you girls, you know who you are! 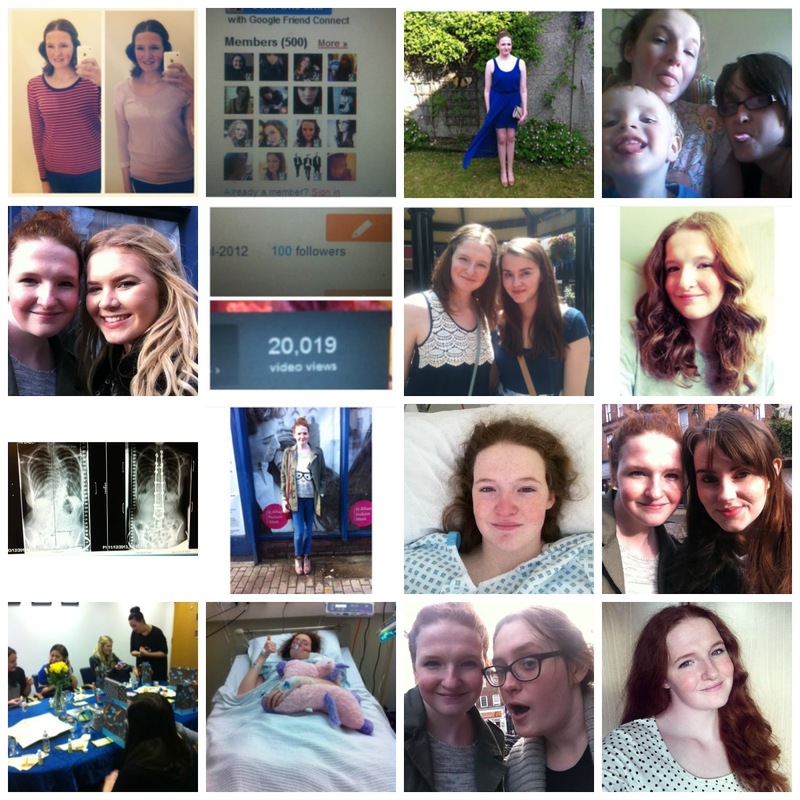 Blogging has helped me through so much, mainly the difficulties I've had with my health though. I can honestly say that I wouldn't have gotten through this past year without the incredible support that all of you give me. Even the little things like a tweet to ask how I am make me smile so much, knowing that so many people care has helped me to push through things that have gotten in my way. Life is changing so much for me at the moment and I have been neglecting my blog a little but I know it is always here for me. 14 year old me would never believe that 3 years later I'd still be blogging about my favourite lipstick or the newest trends. Thank you for being part of this and helping to make me so so happy, hopefully I can sit here and write a similar post every year for the next few years to come!